Oil production in Ontalba comes from a long family tradition in the village of Ontur. 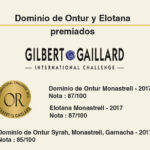 A tradition that was started by our ancestors when, centuries ago, they inhabited our lands which now produce the excellent qualities of our oils, rich in history and in tradition. Ontalba was founded in 1957 by the efforts and labour of the farmers of our area to develop and market their Extra Virgin Olive Oil, the fruit of the careful cultivation of our olive groves, with the aim of obtaining the highest quality oil. Our olive groves cover an area of around 2500ha, with a harvest of some 3.000.000 kilos, from which we obtain some 630.000 litres per year. The olive blooms in spring and the fruit begins to form and mature, passing from a green colour to black, from the summer to the end of autumn/beginning of winter, when the harvest takes place. The olive harvest can be carried out by hand, known as “milking” by means of “beating” the trees (hitting these with long, flexible sticks so that the olives fall onto the prepared sheets at the base of the trees). Alternatively, the olives can be harvested by means of mechanical vibration. 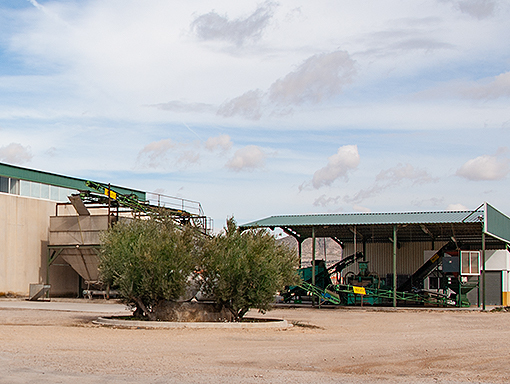 Once harvested, the olives are transported to the olive mill for grinding. It is important that olives collected from the ground (these are transported separately) with nets have as few stones, soil particles and other impurities as possible, so as to avoid breaking the olive’s skin during transportation, as this may start the fermentation process. On arrival at the olive mill, piling up the olives should be avoided to prevent them generating heat and fermenting. 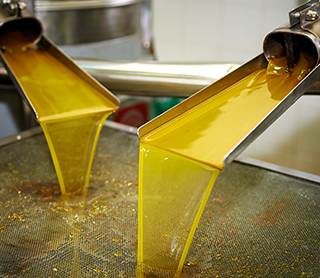 Everything harvested in a day is pressed in the same day, thereby avoiding any oxidisation of the fruit to ensure a good quality oil is produced. The harvested olives are transported to the mill for grinding. It is important that those collected from the ground (are transported separately) with the help of networks are as free as possible from rocks, dirt and impurities to prevent breakage of the skin during transport that cause the onset of fermentation. Arriving at the mill, avoid piling up the olives to prevent heating and fermentation. All that is reflected in the day grinds on the same day, thus avoiding any possible oxidation of the fruit and getting a quality oil. The olives are placed on a conveyor belt and pass through a ventilation area where a current of air separates any accompanying leaves. After selecting them for quality, they are washed in water. Pressing consists of crushing the fruit (without prior removal of the olive stones) until a paste is formed, and this is then stirred. The stirring homogenises the paste at a constant moderate temperature (between 20 and 25 degrees). After stirring, the paste is centrifuged without the addition of any chemical products or heat. The different densities of the liquid cause the product to separate at different levels, leaving the heaviest matter (water and pomace) in the outermost part and the lighter matter (the oil) closer to the centre. ORGANIC: Our extra virgin organic olive oil is olive oil taken to its maximum quality in every way, both during cultivation and in its exacting production. It is a true gourmet delight for the most demanding palate. Because of its lack of chemical residues, it is a much higher quality oil. Our extra virgin organic olive oil comes from olives which have been cultivated without the use of either chemical pesticide products or chemical fertilisers. 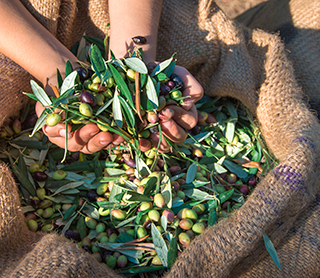 We have used other cultivation techniques that guarantee that the oil from these olives has no pesticide residues, nor any other component which may be harmful to the health of the consumer. Additionally, the olives used for organic olive oil have been cultivated with respect. After undergoing their extensive controls, our organic olive oil is certified by the Committee for Organic Agriculture. Olive oil is a living food and, because of this, care needs to be given to how it is stored. It needs to be kept away from odours, dust, light and sudden movements. 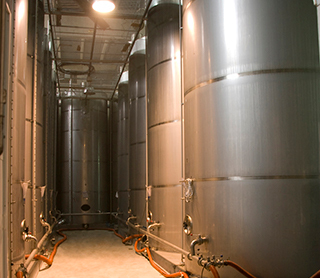 At Almazara Ontalba, we store our oils in stainless steel tanks. The temperature is mild and constant, allowing the oils to mature free from oxidisation.